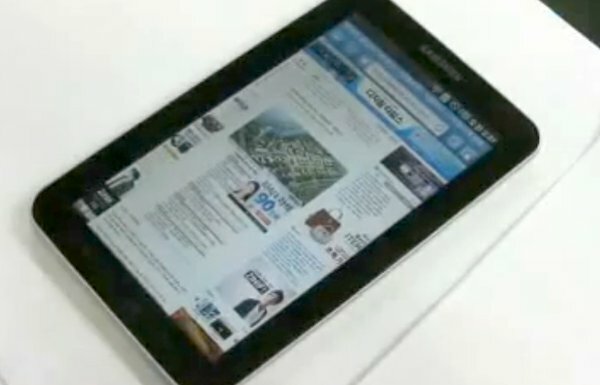 Today we have another short video on our hands demonstrating the Samsung Galaxy Tab in action. It comes from the tablet homeland Korea, and shows it sized up against the Apple iPad. The video also takes us for a quick tour around the interface demonstrating some remarkable performance. It confirms the 3G and Wi-Fi b/g/n support as well as the Froyo 2.2 version of the Android OS. There is also a DMB tuner, which makes us wonder if it isn’t a version dedicated to Korea we are seeing here. And here comes the video itself.